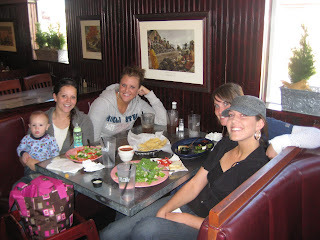 My friends took me out to lunch at The Art City Trolley, in Springville, for my birthday. 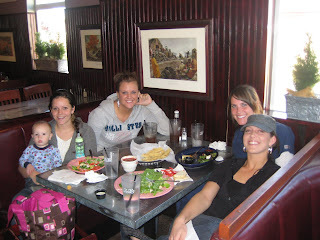 It was fun catching up and, as most of you know, anything that involves food always puts a smile on my face! :) It's amazing to see how although in many ways we are in different stages of life, we still remain close and enjoy being together. I sure do love these girls, oh, and Hank!! Thanks again! Hey Lexi!! I'm glad you posted your blog on facebook. It's fun to see what you're up to! Best of luck with all the wedding plannig! Lexi you little hottie...happy birthday to you! I'm so glad we re-connected, even through blogging! Keep in touch I'm so excited to follow what's been going on in your life! Your blog is way cute! I am so glad you left me a comment! I had no idea you had a blog you little sl you!! I am so happy about it though! I'm so sorry aobut yesterday! Dave is a mess and after a week i'm ready to pull my own hair out...cant imagine how he feels. Anyhow...thanks for being so sweet about it! HOpe you had a FUN DAY!! Cant wait to see you!! love ya! ps...you guys are so so so so so cute! !